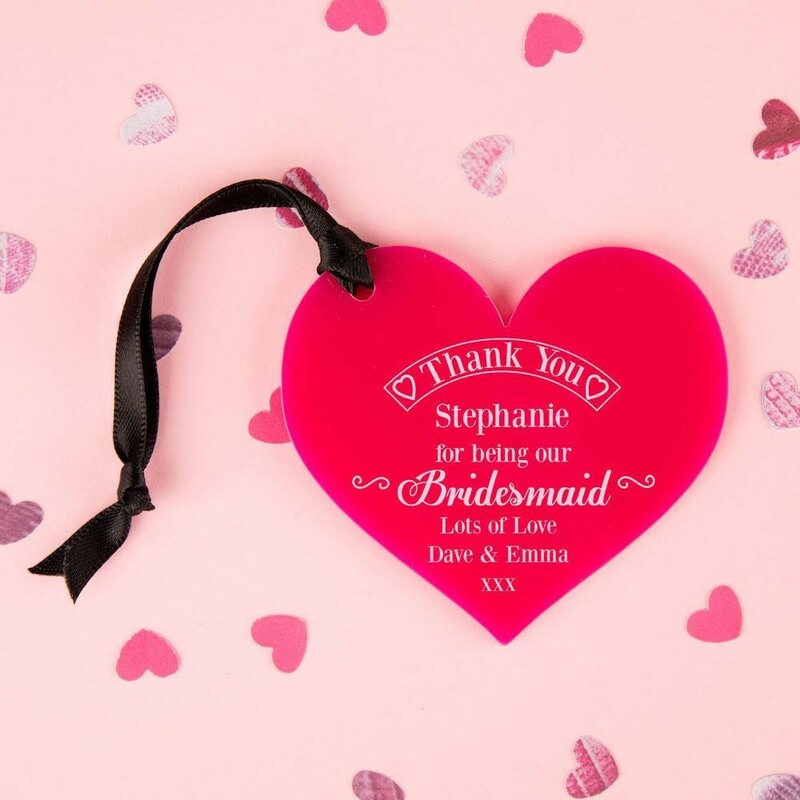 A personalised heart is the perfect keepsake gift to say thank you to your bridesmaid for her hard work and support throughout your planning stages and on the actual wedding day. 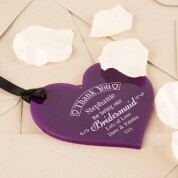 Each heart is personalised in house so you can add any girl's first name and your first name for the personal message (the standard text is 'Thank You For Being My Bridesmaid'). 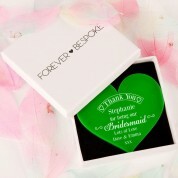 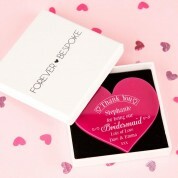 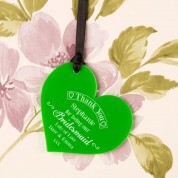 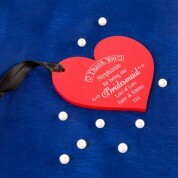 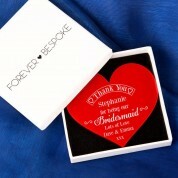 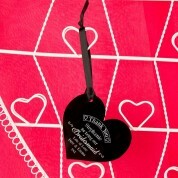 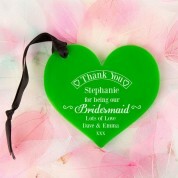 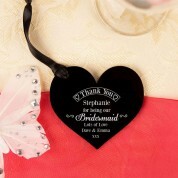 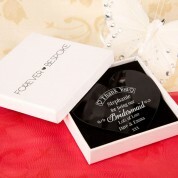 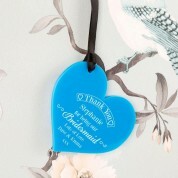 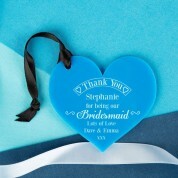 There are other hearts available in different designs including maid of honour, chief bridesmaid or flower girl. 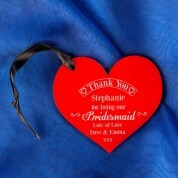 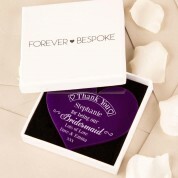 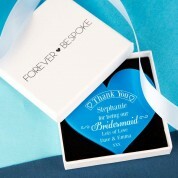 This personalised heart is well presented in a branded gift box. 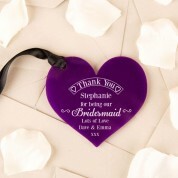 Material: 3mm coloured acrylic. 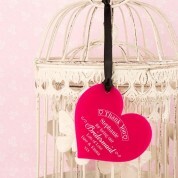 Dimensions: Approx 7.5 x 7.5cm.